Our Elenore French Aquitaine Blue Bedside is just one of our breath taking pieces of bedroom furniture from the beautiful range. 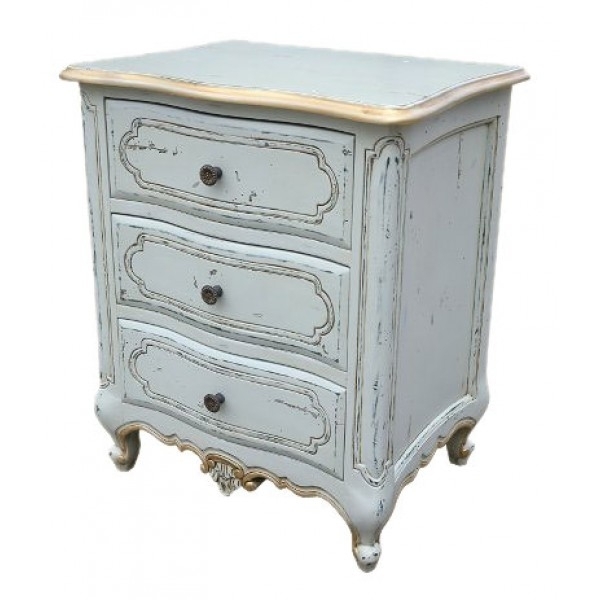 The bedside has three capacious drawers and is finished in soft blue and antique gold. The detailed carving and scalloped bottom edges contribute to its elegant French charm.